A drama focusing on the week after the assassination of President John F. Kennedy, Jackie is the personal story of a wife and mother forced to grieve in front of the entire, shocked world. 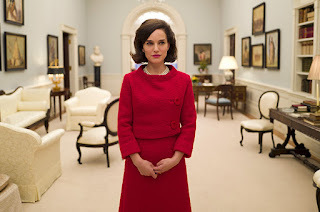 A week after the assassination, Life reporter Theodore H. White (Billy Crudup) is summoned by Jackie Kennedy (Natalie Portman) to the Kennedy's Hyannis Port, Massachusetts estate for a private interview. In flashback, the events immediately before, during and after the harrowing assassination in Dallas are presented from her perspective. 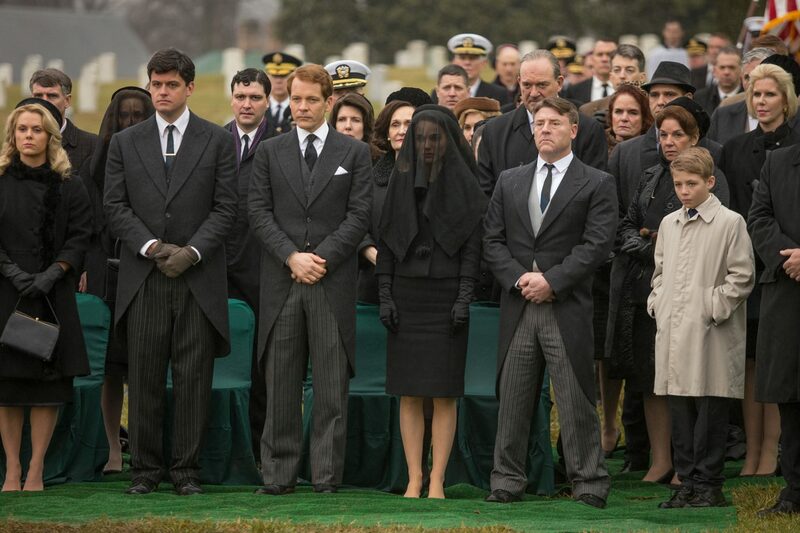 Jackie has to contend with the sudden death of her husband, her young children losing their father, making funeral arrangements with the leaders of the world attending, and the incoming Johnson administration, all while adjusting to the end of her life as First Lady. She uses the interview to help shape President Kennedy's legacy as an idyllic Camelot-like brief but shining period in US history. 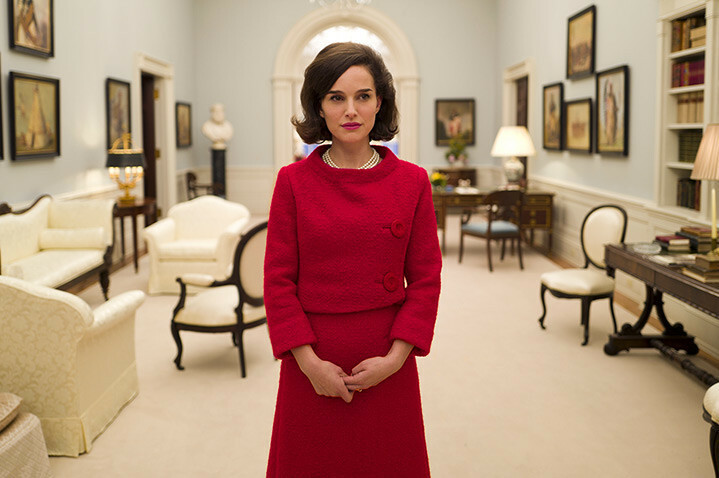 Directed by Pablo Larraín, Jackie focuses on the other victim of November 22, 1963. While the nation lost a leader, a woman lost her husband and her life as she had planned it came to an appalling end. The film intercuts interview scenes, with Jackie and Theodore sitting face to face and staring straight at the camera, with flashbacks to the events of the past week. Jackie's imperative to gather herself in a calculated manner while in the glare of the world's spotlight translates somewhat to the film, and a sense of theatre sometimes stands in the way of human warmth. The machinations behind Jackie planning JFK's funeral procession also receive inordinate attention. The film is otherwise an intense personal experience, delving into the soul of a woman still processing a massive shock, forced to transition instantaneously from a world of elegance to cleaning the blood and brains of her husband from her face and pink Chanel suit. The interview scenes reveal a steely-eyed but still shaken former first lady intent on framing her husband's tenure in the best possible light. Theodore takes the brunt of her decompressing attitude, as she unloads her emotions with a mixture of haughtiness and raw anger at the injustice befalling her family. The flashbacks look slightly to the side of world-shaping events, Jackie the unwilling secondary character in a tragedy that kills her husband, his bloodied head in her lap, and forces her to witness a change in administration and the inevitable pressure to move out of her White House all while maintaining poise in front of her children and the world. Natalie Portman is excellent in a controlled performance, and is ably supported by Crudup as White and Peter Sarsgaard as Bobby Kennedy. John Hurt appears as a pragmatic priest comforting Jackie as she processes her losses. Larraín uses Jackie's redecoration of the White House, as featured in a groundbreaking February 1962 television documentary special, as a framing device to emphasize her passion for history and understanding of the continuum represented by successive Presidents. Misconstrued as a vanity project, Jackie wanted to bring to life the real men behind the legends who occupied the people's building. Now she has to hurriedly add her husband, prematurely, to the ranks of leaders who contributed to nation building. His youth, enthusiasm, love for the arts and sense of idealistic optimism leads Jackie to the Camelot metaphor, ironically helping to create a legend out of a short-lived presidency. As one former first lady departs centre stage, the power of the media to shape a national narrative emerges from the margins, in readiness for more turmoil in the decades ahead.